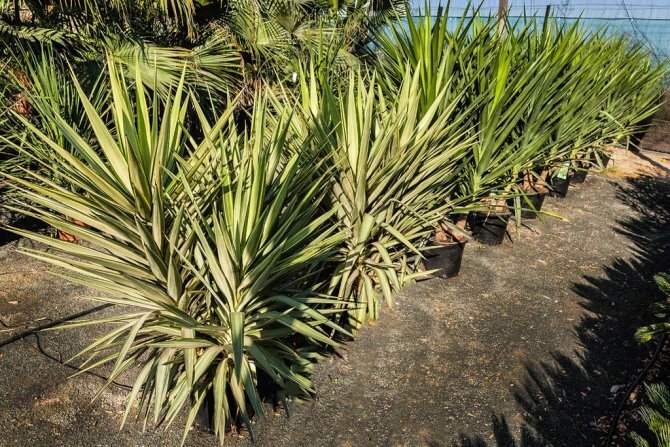 Yuccas, like all PalmFarm stock, are pot grown. 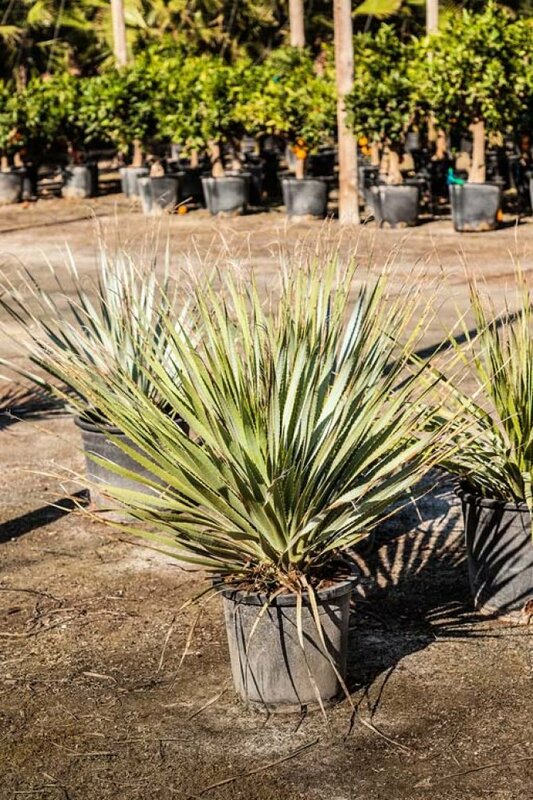 Easy to grow, yuccas give an architectural edge to any project. Combined with palm trees, olive trees, citrus trees, etc., they build an impressive, classical landscape. 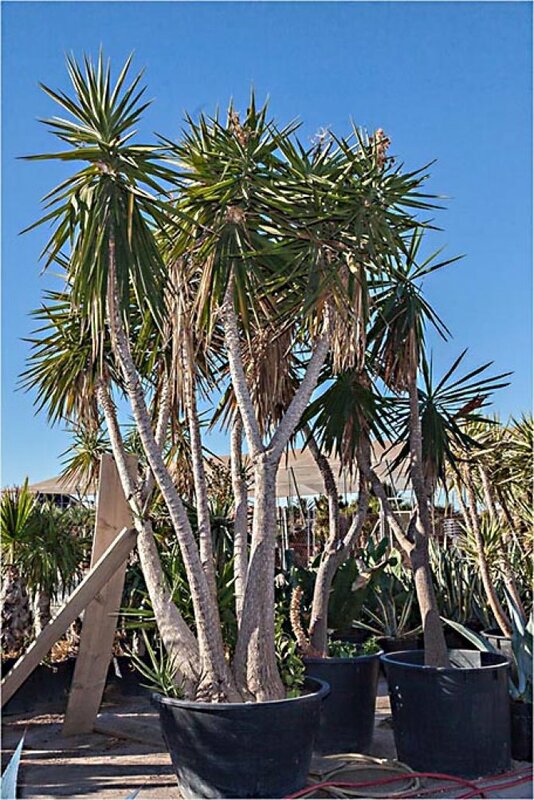 Yuccas, either plain or variegated, provide an instant, tropical ambience. 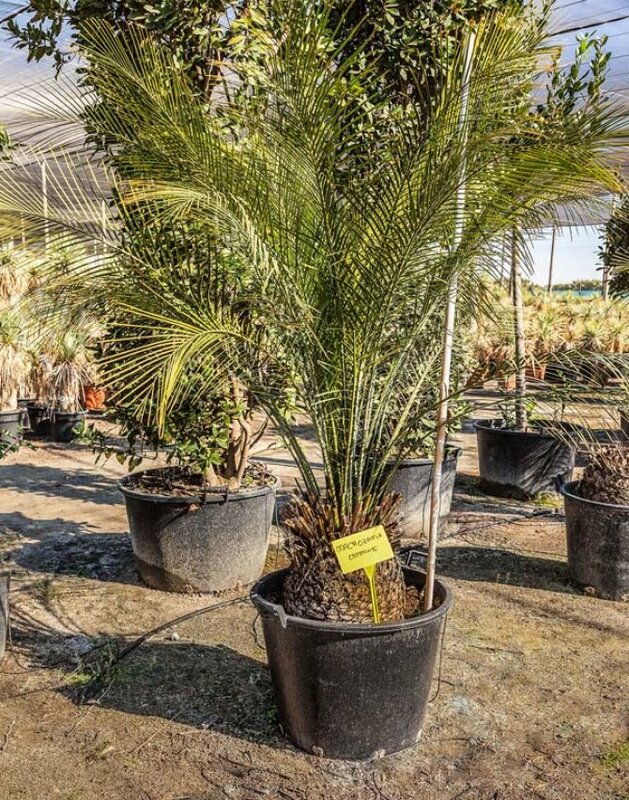 Despite its common name, it is not closely related to the true palms. 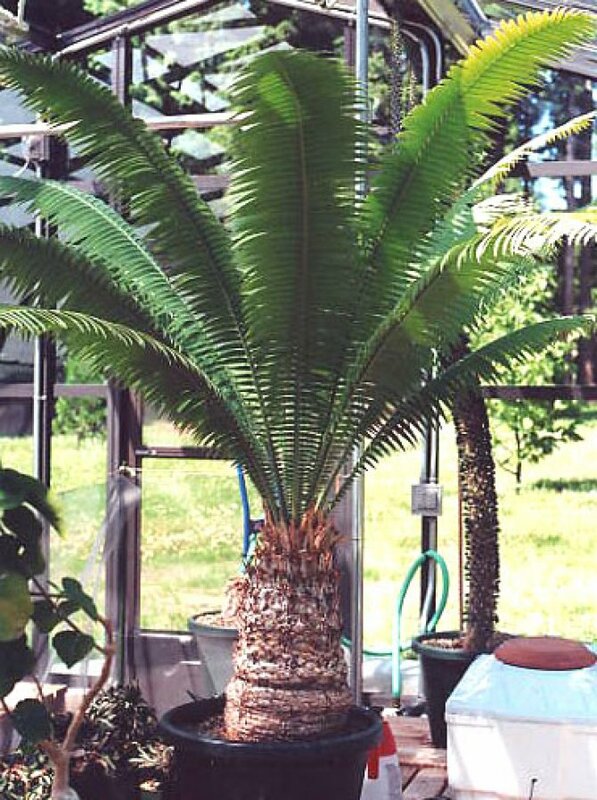 This is a slow growing evergreen with lush, fern like foliage. 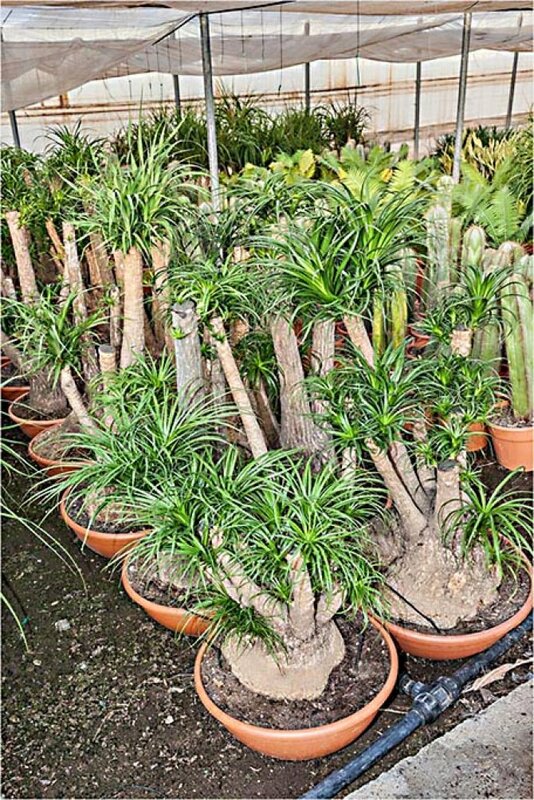 A beautiful evergreen with a short trunk and a lovely array of narrow, stiff leaves. 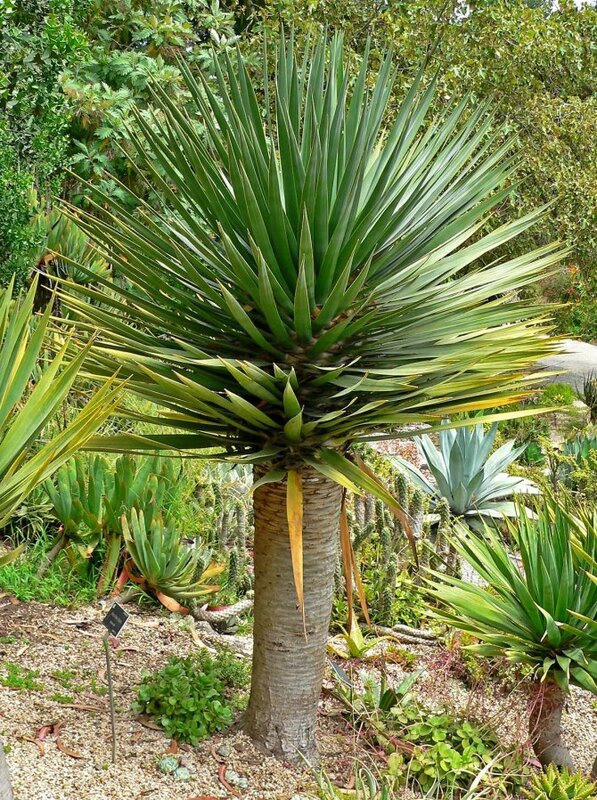 A beautiful yucca with lush green leaves. 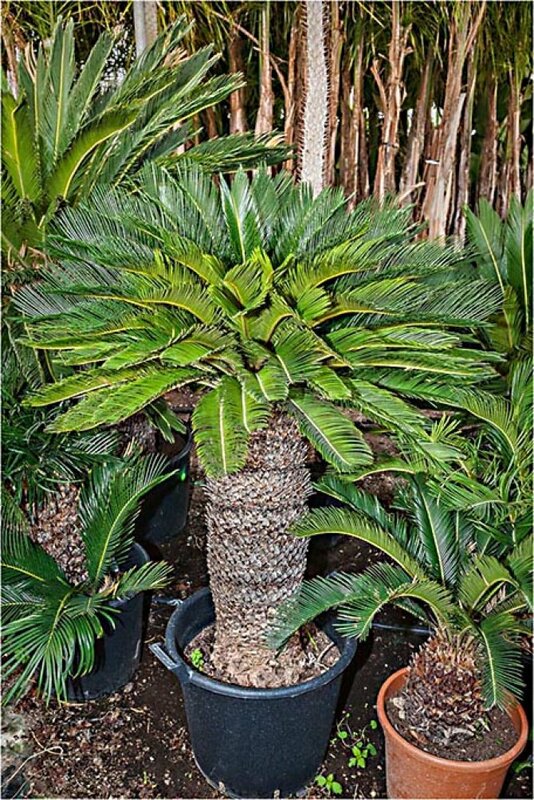 All species have dark green, palm-like leaves. This plant periodically produces honey-scented white or cream flowers. Suitable for patios. White flowers are produced in the summer. 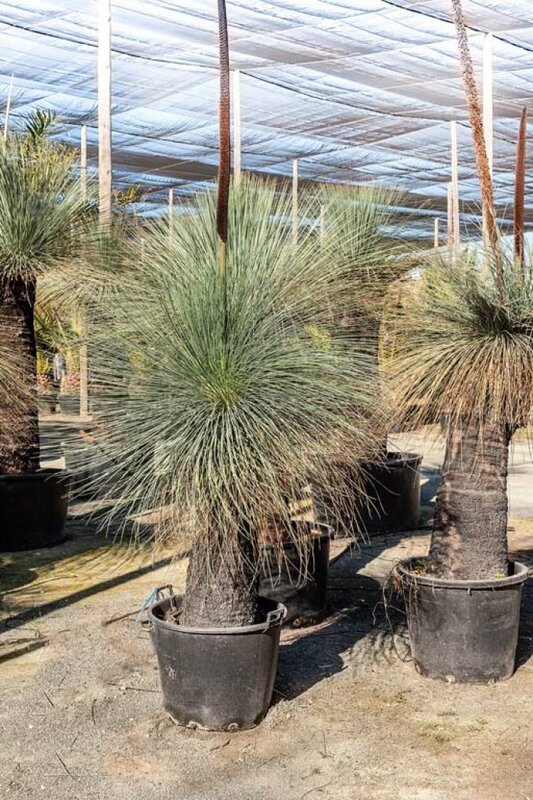 Its tolerance of growing conditions makes it popular as an ornamental plant. 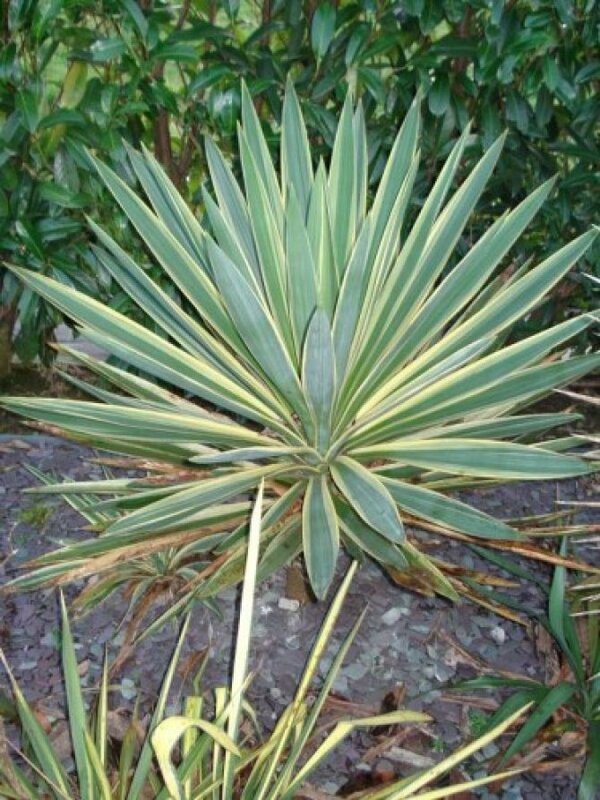 A form of Yucca Gloriosa with variegated leaves. Flowers beautifully in summer with a creamy white display.